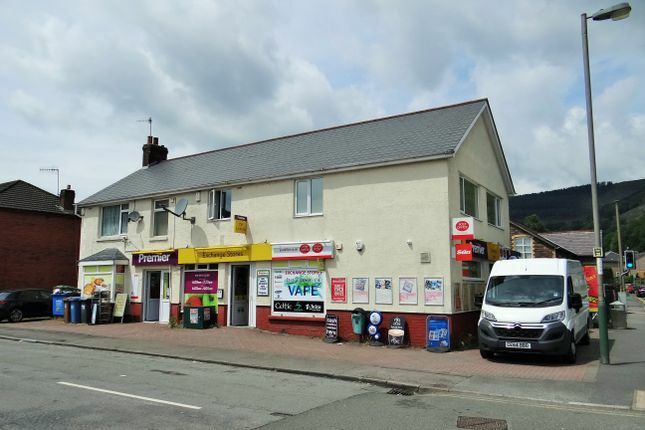 South wales - Price Reduced Freehold £550,000 - Substantial detached freehold property incorporating busy Convenience Store, Newsagents, Main Post Office and self-contained four bedroom flat above. Retail trade £543,854 (excluding VAT) last year with a gross profit margin in excess of 24% plus Main Post Office Income £52,188 last year. A superbly presented business with easy customer parking right outside. Well fitted retail trading areas, 850 square feet plus, with CCTV, LED lighting, commercial flooring, various chillers, full epos, open plan Post Office counter, fortress counter and retail combi counter. Off Licence, National Lottery, Internal po atm, take-away coffees, E cigarettes. Staff toilet, stock room, secure store with external access, staff kitchen, rear yard. Self-contained flat above with large lounge, very well fitted kitchen/diner, two double bedrooms (one with en-suite toilet/dressing room), two single bedrooms, recently fitted bathroom. A really excellent opportunity and very profitable business. Property descriptions and related information displayed on this page, with the exclusion of Running Costs data, are marketing materials provided by Humberstones, and do not constitute property particulars. Please contact Humberstones for full details and further information. The Running Costs data displayed on this page are provided by PrimeLocation to give an indication of potential running costs based on various data sources. PrimeLocation does not warrant or accept any responsibility for the accuracy or completeness of the property descriptions, related information or Running Costs data provided here.